"My iPhone 8 will completely freeze when I use some apps like Snapchat or YouTube. When I press the home screen, it will take few seconds to return to the home screen, wouldn’t it should be faster?" Recently, I’ve seen people complain that their iPhone 8 keeps freezing or crashing on iOS 12/11. Some encountered this issue when running a specific app while some continued getting this phenomenon. The reason for iPhone 8 frozen screen issue is hard to tell, but you can fix this problem with the following troubleshooting methods. If your iPhone screen becomes unresponsive or lags out when opening some apps, there might be something wrong with the app itself instead of the device. You can update these apps to the latest version in App Store. If that not helped, tap on the apps and click the “x” icon to delete them and then reinstall. We all know that many iPhone problems can be solved quickly by preforming a restart; you can also try when your iPhone 8 is freezing during setup, restore or update. Press the power button until “slide to power off” appears, slide the bar to right to turn off your device. Then you can turn on iPhone by pressing the side button again. Sometimes iPhone 8/8 Plus is lack of storage, when running some apps, it will not work properly and freeze a lot. 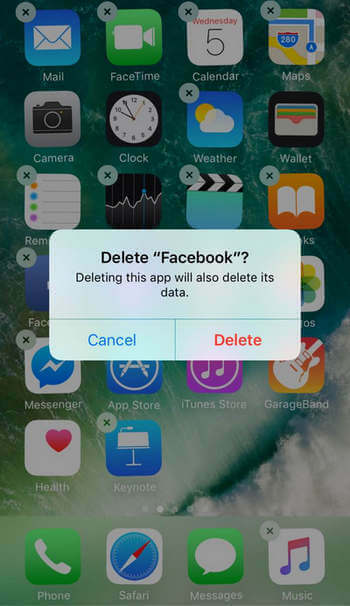 You can clean out all the junk files in your device or transfer some large file from iPhone to computer and then delete them on iPhone. To complete this, Tenorshare iCareFone will be your best choice. This useful tool is able to scan iPhone and clean up all unnecessary files as well as transfer some large items like music or video to computer freely. 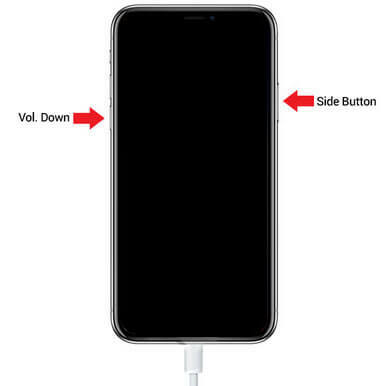 Turn off iPhone 8 and connect to computer, press and hold down the sleep button and volume down button at the same time for 10 seconds. Continue holding the volume down button for 10 seconds and release the sleep button. When the iPhone 8 screen keeps diming, rotating, freezing or not running smoothly, there’s a large chance that a software glitch occurs. Try to repair iOS system with a professional tool called Any iOS System Repair (ReiBoot). This software is able to fix iPhone crashing, screen black/blue or won’t turn on and many other stuck issues by installing the latest firmware. Download the program on your PC or Mac and follow the steps below to fix iPhone 8 freezing and crashing issue completely. Run Any iOS System Repair (ReiBoot) on your computer and connect iPhone, click “Fix All iOS Stuck” from the interface once the device is detected. Then you’ll see an interface like below, click “Repair Now” to go on. Select “Fix Now” to enter the firmware download page. Choose a save path and click “Download” to go on. When the firmware is downloaded successfully, click “Start Repair” to repair system. The whole process will complete in minutes and your iPhone 8 will reboot as normal. If you are unluckily and fail to fix screen not responding on iPhone 8/8 Plus, restore in iTunes and set up as a new device will be your final choice. Remember to back up your device as this operation will erase all the current files and settings. Run iTunes connect iPhone to computer, click the iPhone icon and then choose “Restore iPhone” to put your device to its original state. For those who are experiencing severe situation and cannot fix iPhone 8 slow and freezing even after restoring, go to the Apple Repair shop or contact Apple for help. This post has shown you how to fix iPhone 8 freeze after unlock, iOS 12/11 update, restore from iTunes backup or jailbreak. I hope you have fixed your problem after trying the methods above. For further questions or inquiries, don’t hesitate to contact us.